At Hall and Botterill Ltd we have a wealth of experience in producing aluminium gutters and fittings, plus the most comprehensive range of products in the world. 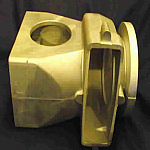 In fact, we have been making and supplying aluminium castings since the 1940s. Today our foundry is modern and efficient and well fitted with up to date equipment. Our marine grade castings have many advantages over traditional cast iron, as they offer superior resistance to the problems posed by the marine environment. Durable yet lightweight, the aluminium products will not rust and are very low maintenance. High quality products and excellent customer relations are watchwords. Combined with a dedication to progress and innovation, it is no surprise that Hall and Botterill are recognised for manufacturing the very best die cast and sand cast products. Having produced engineering castings for customers across a wide variety of industries for many years, we are able to supply most designs in aluminium. It doesn’t matter whether the order is large or small, we can produce what you need in die cast aluminium which, unlike traditional cast iron, will not rust and is lightweight with low maintenance requirements. 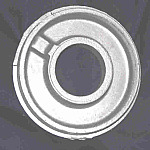 Visit our website where you will see examples of some of our previous production runs. All our Heritage rainwater gutters and fixings are made entirely from 100% recycled aluminium. Corrosion resistant and low maintenance, they overcome problems associated with the marine environment. Our Alcast Heritage selection includes an extensive range of rainwater hopper heads in various designs. You can choose from small and simple designs to large ornamental hoppers, which can be supplied either in a natural aluminium finish or polyester powder coated in several choices of colour. 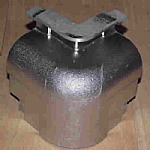 Take a look at our selection of rainwater castings on the website. We offer the largest range of gravity die cast aluminium gutters in the world. But it doesn’t stop there, as we also make new designs to your specifications as well as reproductions to order. So, if you have a design concept or an image you would like reproduced, talk to one of our experts who will help you explore your ideas and discuss the options available. We have been producing to customer’s requirements since the 1940s and have the experience and expertise needed to manufacture to your specific design.